Land registry map showing Centre Road and surrounding areas. 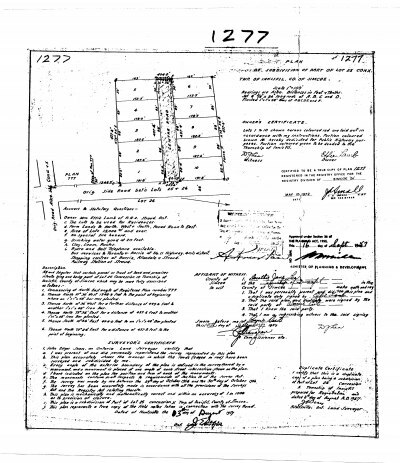 Painswick Land Registry Map Showing Lot 12, Concession 12 (Mapleview Drive), The King’s Highway 11 and Surrounding Areas. Painswick Land Registry Map Showing Ashford Drive, Bertha Avenue, Montgomery Drive, Kenneth Avenue, King’s Highway.11 and Surrounding Areas. 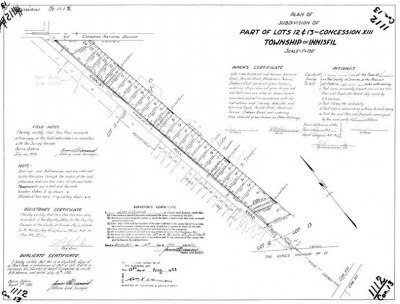 Land registry map showing the King’s Highway 11, Concession 14 (LIttle Avenue) and surrounding areas. 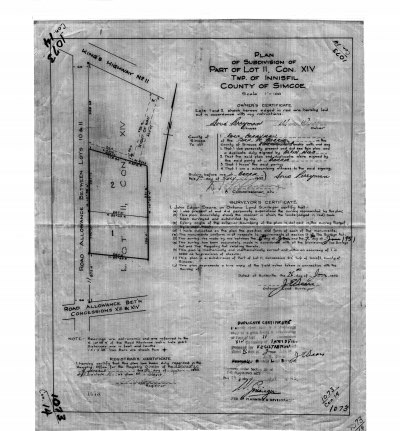 Land registry map showing Boyd Street, Concesion 13 (Big Bay Point Road), King’s Highway 11 and surrounding areas. 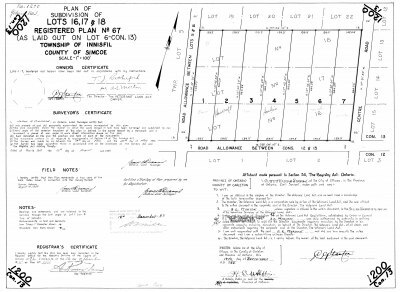 Land registry map showing The King’s Highway 11, Yeates Avenue, Concession 14 (Little Avenue) and surrounding areas. 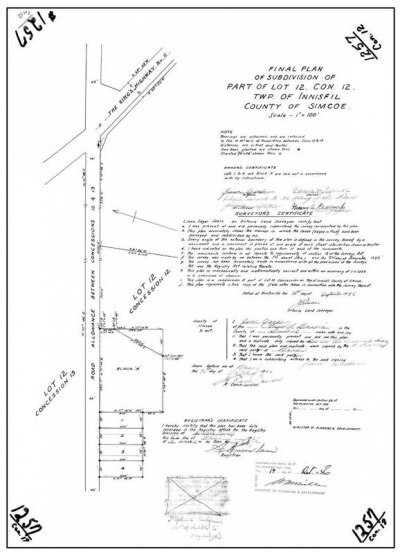 Land registry map showing King’s Highway 11, Concession 14 (Little Avenue) and surrounding areas. Land registry map showing King’s Highway 11, Concession 13 (Big Bay Point Road) and surrounding areas. 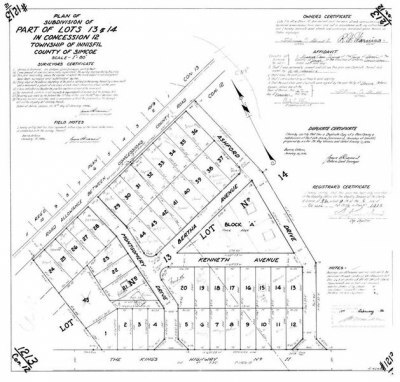 Land registry map showing Warnica Road, Dodson Road, Cox Mill Road and surrounding areas. Painswick Land Registry Map Showing Cox Mill Road, Dodson Road, Blackmore Road, Arnold Street, Warnica Road, The King’s Highway 11 and Surrounding Areas. 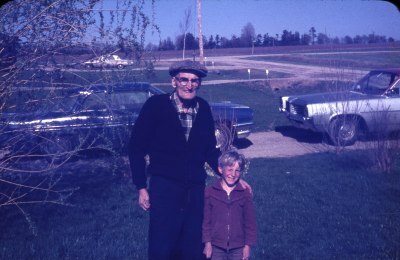 Big Bay Point Road at Ashford Drive. 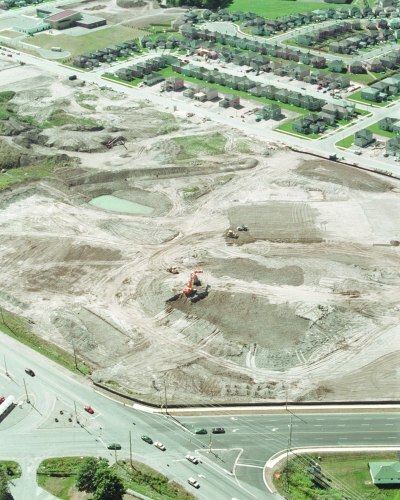 Commerical property being prepared at Big Bay Point and Yonge Street (Highway 11). 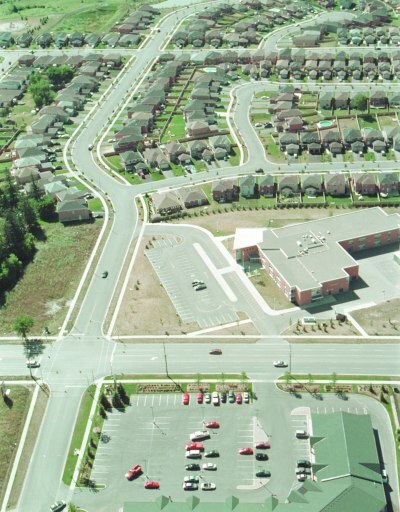 Leggott Avenue at Big Bay Point and Loon Avenue, showing the commercial plaza. 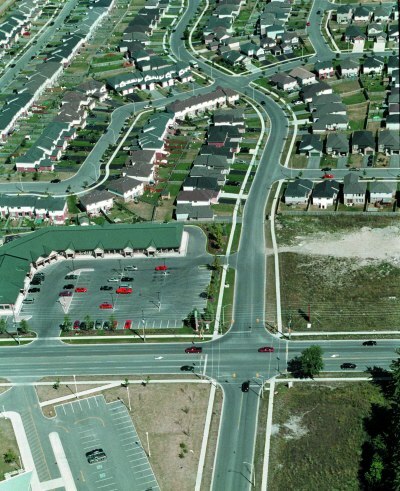 The intersection at Big Bay Point Road and Loon Avenue and Leggott Avenue. 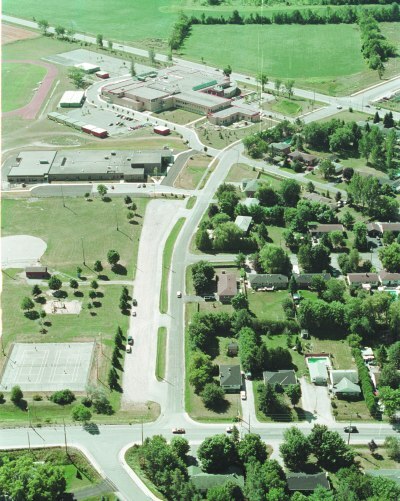 St. Michael the Archangel Catholic School and the commercial plaza are shown. Exterior of Inniswood Baptist Center later to be named Inniswood Baptist Church acquired by First Baptist Church. 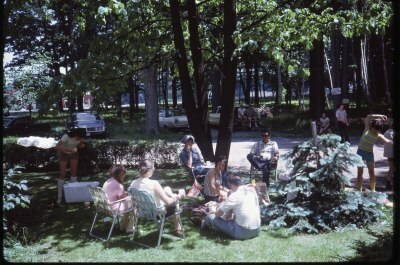 First Baptist Church has a picnic at Inniswood Baptist Center on Yonge Street. 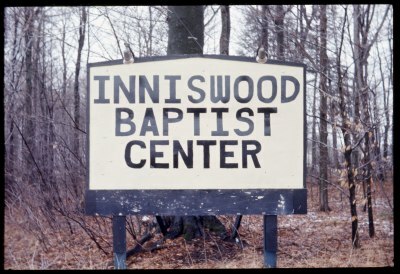 Sign for Inniswood Baptist Center on Yonge Street newly acquired by First Baptist Church. 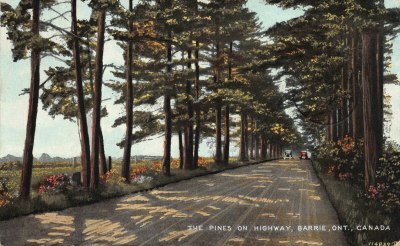 Postcard showing pine trees that line Highway 11 South near Mapleview Drive. 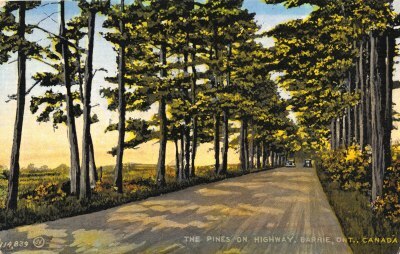 Postcard showing beautiful pine trees that line Highway 11 South near Mapleview Drive. 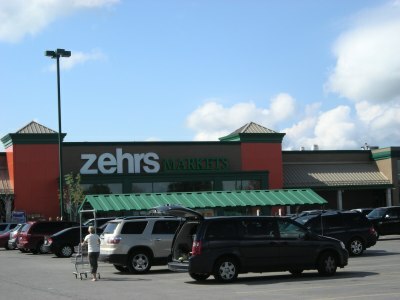 Zehrs Plaza at 620 Yonge Street and Big Bay Point Road. 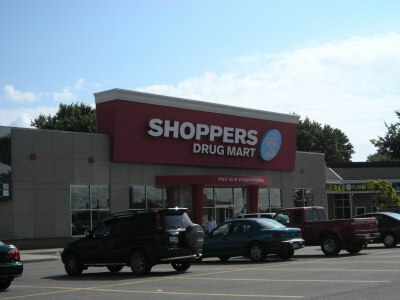 Shoppers Drug Mart at 649 Yonge Street. 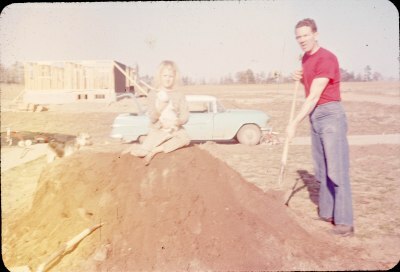 A young girl sits atop a pile of dirt at 206 Bertha Avenue. In the distance another home on the corner of Bertha Avenue and Ashford Drive is under construction. 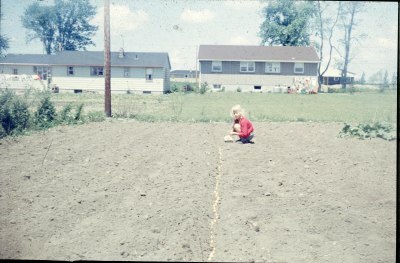 A young girl helps to plant a garden in the backyard of 206 Bertha Avenue. 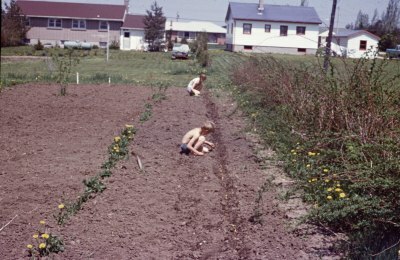 Children help plant a garden in the backyard of 206 Bertha Avenue. 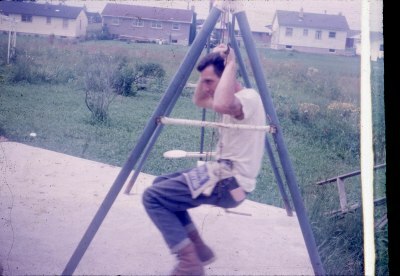 A young man swings on a children’s swing set in the backyard of a home on Bertha Avenue. 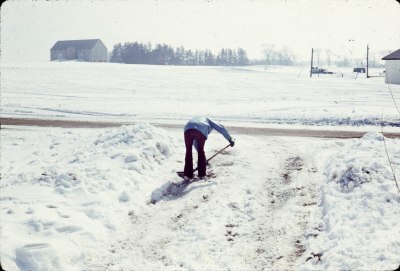 Looking at the path leading up to the Painswick school house. 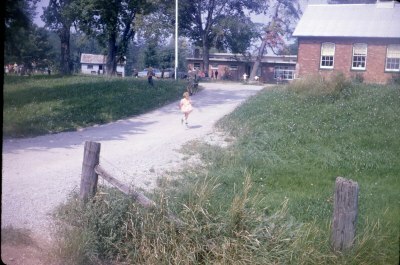 The one-room Warnica school house can be seen in the distance. 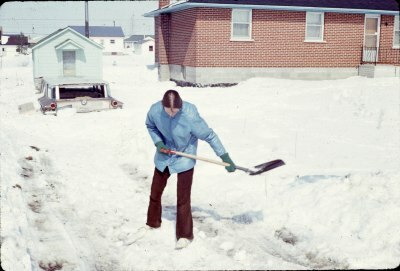 Shovelling snow out of the driveway of 206 Bertha Avenue on a winter day. 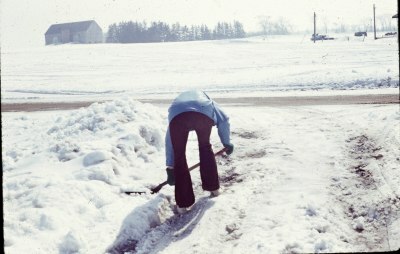 Shovelling snow out of the driveway of 206 Bertha Avenue. 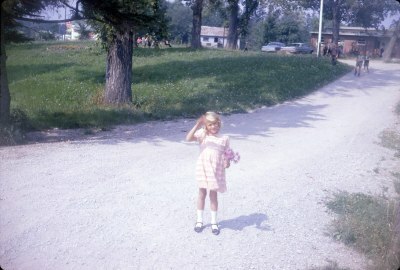 A young girl poses near Painswick School. 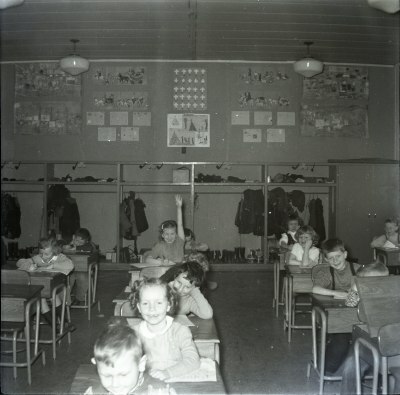 The old one-room Warnica schoolhouse can be seen in the background. 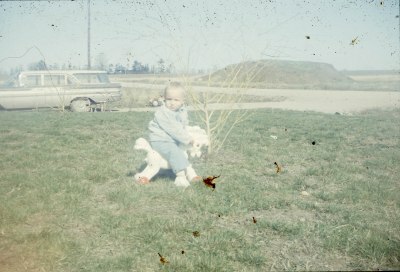 A young child playing in front of 206 Bertha Avenue. 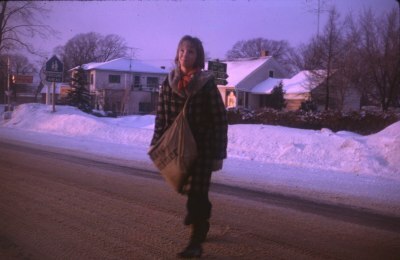 A young girl crosses Highway 11 near the 13th Concession of Innisfil, Big Bay Point Road delivering newspapers for the Barrie Examiner. 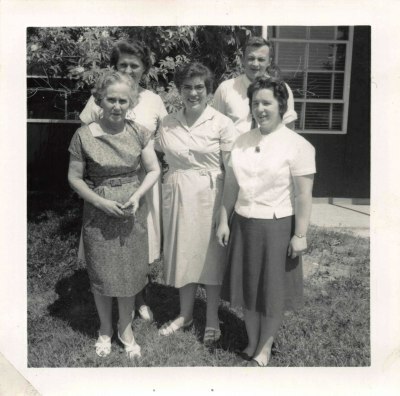 The front yard of 206 Bertha Avenue. 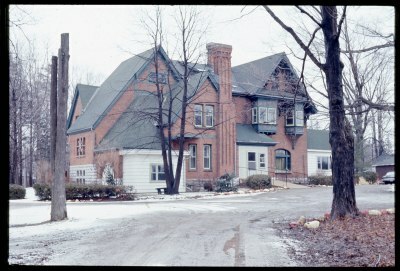 Ashford Drive can be seen in the background. 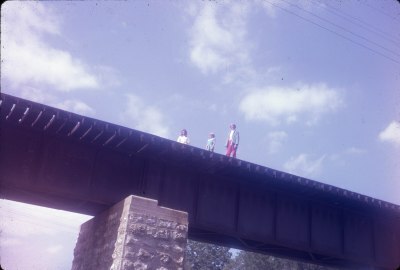 Teenagers stop to pose atop of the CNR bridge over Cox Mill Road. 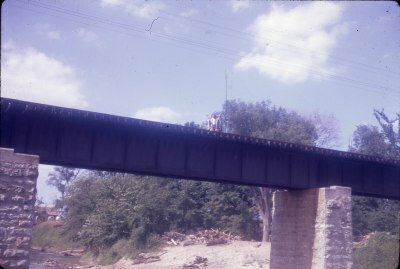 People walking the tracks on the CNR bridge, which crosses over Cox Mill Road. Stopping to pose on top of the CNR bridge over Cox Mill Road. 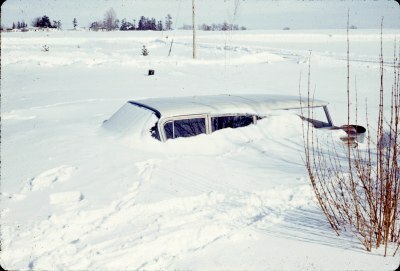 A car is buried by the snow at 206 Bertha Avenue. 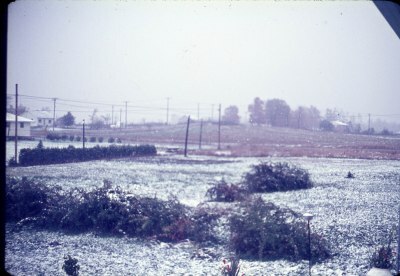 Ashford Drive can be seen in the background as well as houses along the 13th Concession of Innisfil (Big Bay Point Road) in the distance. 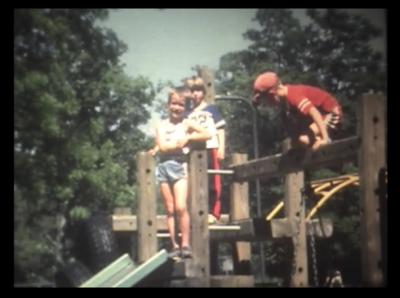 Looking out the backyard of 206 Bertha Avenue towards Ashford Drive. 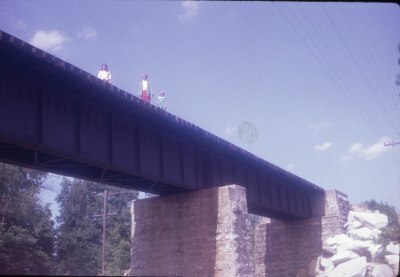 The 13th concession of Innisfil (Big Bay Point Road) can be seen in the background including the old bridge over the CNR tracks. 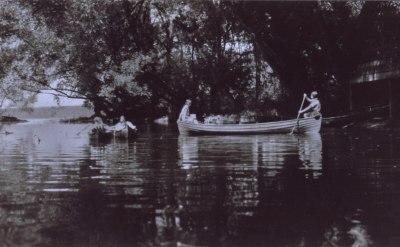 Locals enjoy a relaxing afternoon paddling down Lovers Creek. 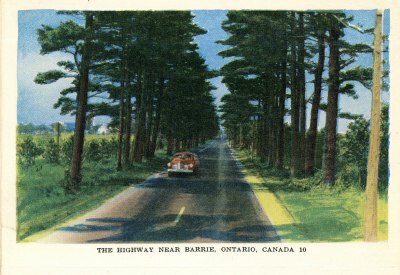 Postcard showing Highway 11 South leaving the city. 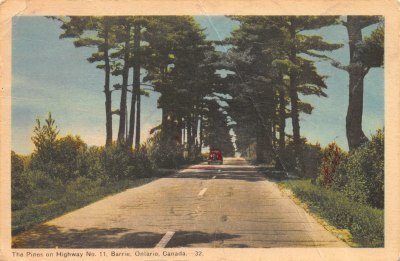 Souvenir of Barrie Postcard Collection showing Highway 11 South leaving Barrie. 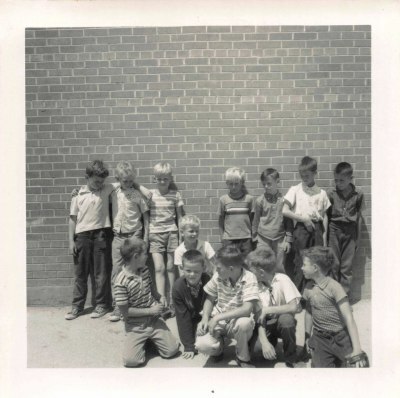 Boys poses in front of the newer brick building at 13A Innisfil Huronia Public School. Ms. Goodfellow (Baker) in centre poses with staff from 13A Innisfil Huronia Public School. 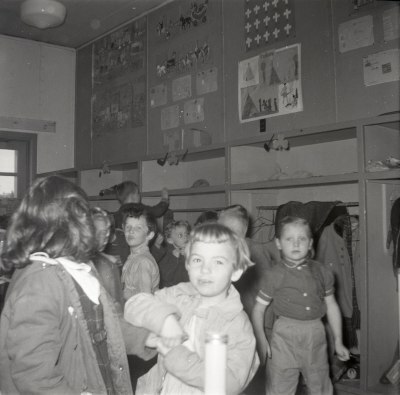 Students in Ms. Goodfellow’s (Baker) class at 13A Innisfil Huronia Public School prepare to go outside. Students of Ms. Goodfellow (Baker) prepare for a day of learning at 13A Innisfil Huronia Public School. 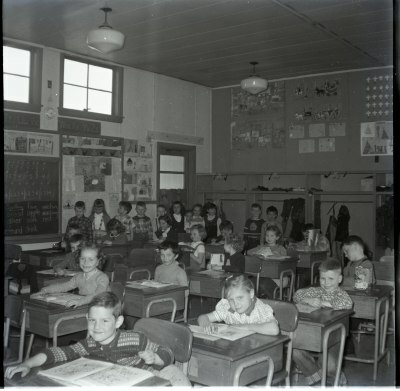 Students of Ms. Goodfellow’s (Baker) class at 13A Innisfil Huronia Public School. 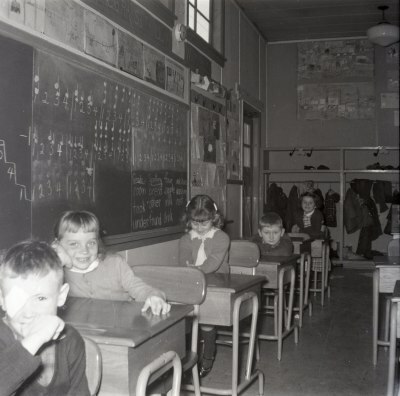 Students in Ms. Goodfellow’s (Baker) class at 13A Innisfil Huronia Public School pose for a picture.